eFive Telecoms CEO Rosalind Thomas said that the planned $320-million submarine cable connecting South Africa and Brazil will be live within two years. 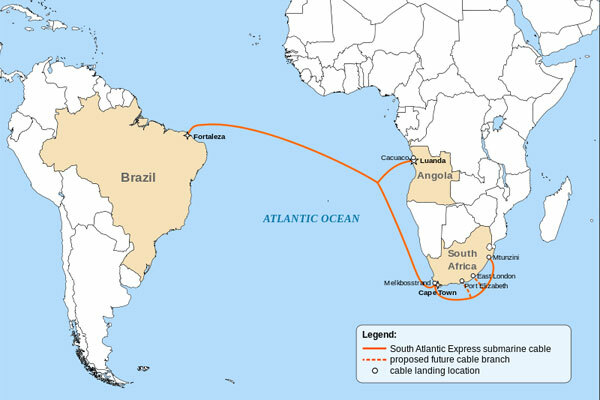 Thomas told the Business Times that the 7,400km cable system will connect “Mthunzini on the east coast, via East London, Port Elizabeth and Cape Town to Fortaleza in Brazil”. 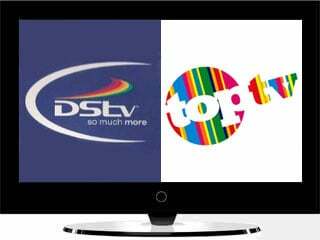 eFive Telecoms has partnered with Brazilian telecoms company GlobeNet for this project. 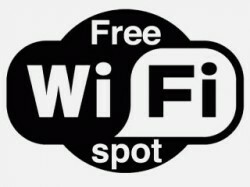 “The connection between Port Elizabeth and East London, particularly, will be helped as currently the connections are largely terrestrial and the cables could potentially increase the connectivity in the rural areas,” Thomas told Business Times. 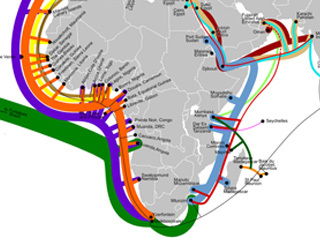 If this cable system becomes a reality it will be the fifth major submarine cable system to go live in South Africa after SAT-3/SAFE, SEACOM, EASSy and WACS (which is set to go live later in 2012). Many people have questioned the business case for a fifth international cable system as the existing systems have abundant unused capacity available for future use. Suveer Ramdhani, head of product strategy at Seacom, previously cast doubt on the financial viability of new cable systems after the launch of WACS. “The only model that could feasibly exist [after the launch of WACS] is ‘infrastructure +’ and would depend on the appetite of the established, vertically-integrated operators for additional diversity,” argued Ramdhani. “Rapid developments in DWDM technology mean that most cable systems are only operating at a small fraction of their latest technical capability. Combine this with the fact that future growth is constrained by the lack of national infrastructure and we can conclude that supply is already ahead of demand,” concluded Ramdhani.